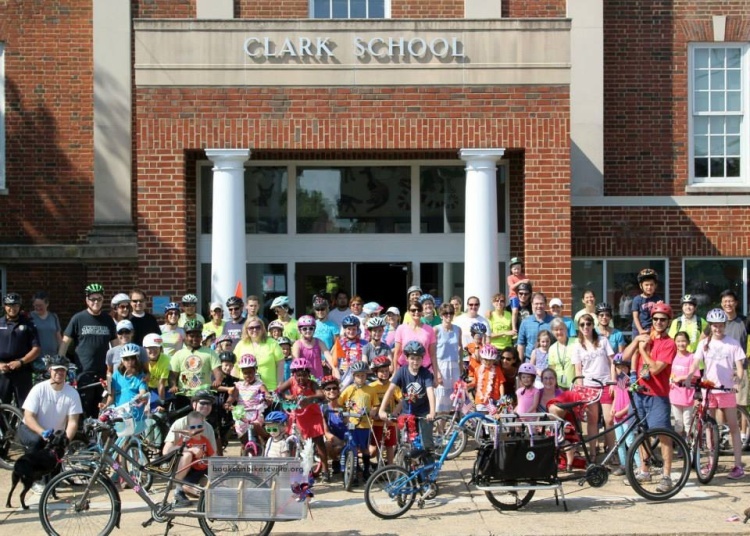 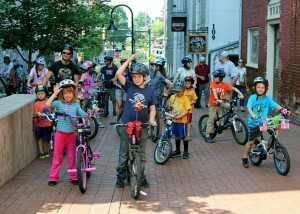 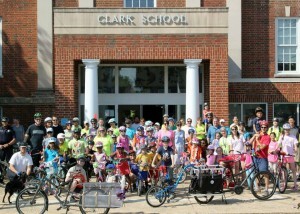 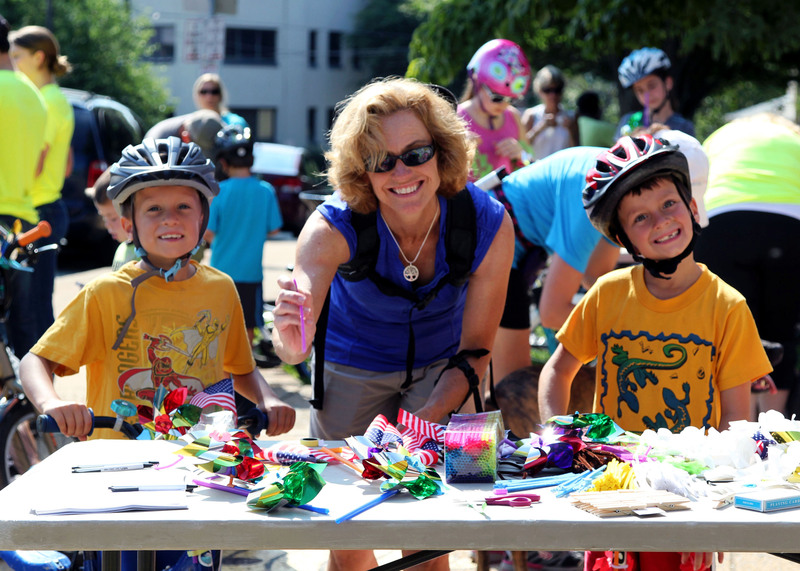 Volunteers from the Charlottesville Bicycle and Pedestrian Safety Committee and Community Bikes helped decorate, did safety checks, and donated bike helmets to anyone that didn’t have one. 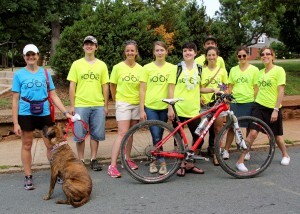 Our volunteers also directed the parade along the way so everyone stayed on the parade route and stayed safe. Officers Scalfani & Douglass from the Charlottesville Police Department led the parade on their police bicycles and stopped traffic along the way. 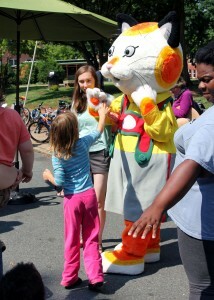 Our parade ended at the JMRL Summer Reading Kickoff Hulabaloo at the Central Library downtown. There were bubbles, popcorn, donuts, books, and popsicles for us when we arrived. 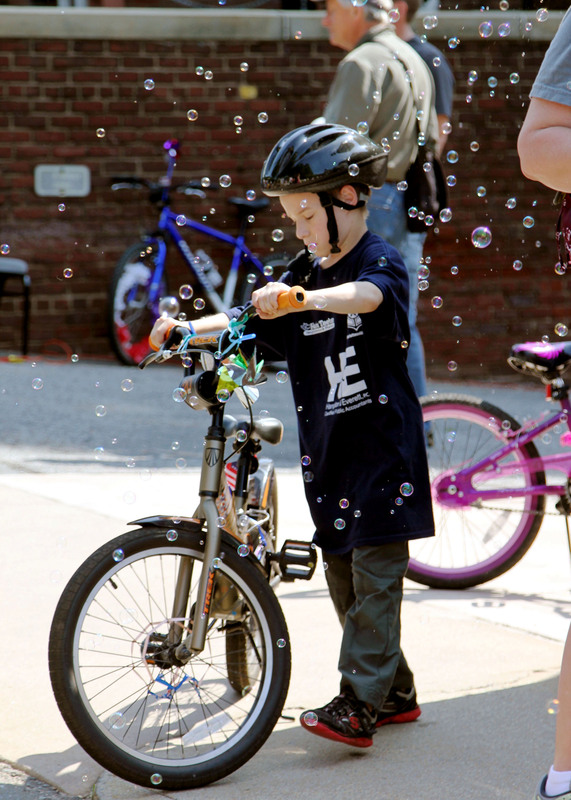 Families had the opportunity to sign up for the public library’s summer reading program and Books on Bikes gave out books and popsicles. 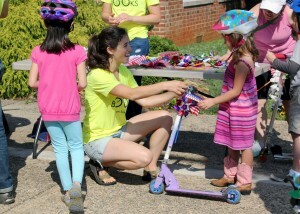 It was a beautiful day for a parade! 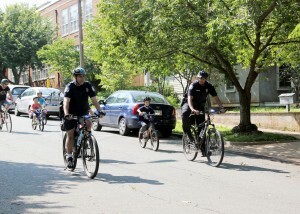 Thanks to everyone that helped make our parade safe and fun!